This short presentation of the city of Mozart is based for people in hurry. I will give you a selection of the most important sights. Let’s start in the “new part” of town with the castle of Mirabell and its beautiful garden including the unique view up to the fortress. 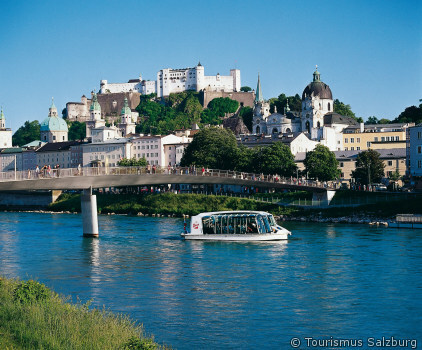 After a short time at Mozart’s appartment house we walk over to the other side of the river Salzach to discover the old city, the Getreidegasse, Mozart’s birthplace, St. Peter as well as cathedral’s district. At Mozart’s square we will end up with the tour of arround 2,5 hours.